Sarah Colangelo’s debut is a well-acted countryside drama, marked with some great cinematography and proving her to be a director to mature in time. Sara Colangelo’s directorial debut tests the strength of one’s patience, but the collaterral damage is the fact, that “Little Accidents” is actually quite compulsive in the substance. The narrative stuffiness of Colangelo’s film leaves this piece of cinematography interesting for those, who expect a well-thought drama movie, drilling into the local-social problems, which emerge after a tragedy in the mine. A small mining town is struck with a calamity when several miners starve to death in the local coal mine. The only survivor, Amos Jenkins (Boyd Holdbrook), is afterwards torn apart between saving the jobs of the local community in the mine or telling the truth about the roots of the tragedy. Simultaneously, a bereaved boy named Owen finds it hard to fit in with his peers and apparently, as an effect of a quarrel, he accidentally kills JT – son of the mine executive. The death of the boy then causes some irremediable changes in the lives of Amos, Owen and the executive’s wife – Diane Doyle (Elizabeth Banks). Colangelo maneuvers in between the several subplots, from which some of them reveal the lack of her’s directorial skills, whilst others are matured enough to attract the attention. The accident in the mine is seemingly of great importance, but what really torments the director are those little, everyday problems, which reminisce a domino – started by an enormous calamity. The vexed society should tremble, frightened by the threat of mine’s closing, but instead everything is put on the shoulders of Amos – a naive, warmhearted miner, whose confession or its lack, shall be decisive. Holdbrook does his job fine and doses the drama, as his character evolves throughout the entire movie. The superfluous confusion is thus generated by unforeseen actions taken by Diane. And fair enough, this one seems to be a rather cheap shot – although the deepening crisis in Doyles’ marriage is sketched coherently, it is hard to believe in this series of her ridiculous decisions. What’s more, although Holdbrook ‘s performance is exceptional, it seems there is not enough chemistry between him and Banks, which strengthens the overall perception of rather vague, artificial relationship. Far more interesting is the way Owen is copying with the alleged murder of TJ, which is nicely melted with the tension built up by the case, which haunts the whole town. 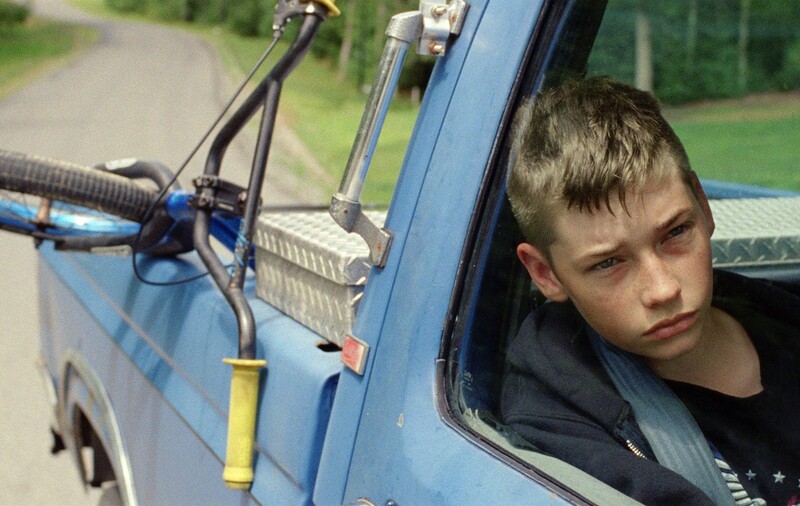 Colangelo emphasizes the fact, that although the boy’s disappearance shakes the grounds, it is the politics involved in the coal mine accident, which take the lead role in the social life. The director uses a grey-based palette of colors, as dingy as the town’s community and combines it with ominous, but rather repetitive soundtrack – it is a bit disappointing, taking into consideration, that Zarvos’ tracks were always quite unusual – the effect is a halfway artistic performance. The claustrophobic atmosphere of miners’ town is not a long shot from what we would expect from such a drama, but the narrative pace should have been a bit faster to fully take advantage of the brilliant camera work. All in all, “Little Accidents” gathered some recognition during several film festivals, as Colangelo’s movie received eleven various nominations, from which the most remarkable ones would be Karlove Vary and Independent Spirit Awards. Although “Little Accidents” is not a groundbreaking debut, it paved the way for the emerging director nicely. All it takes for her, is to keep on working. I will not say I recommend this movie to everyone, but those, who find artistic movies far more entertaining than blockbusters – this one is a fair bargain. A psychological drama with a sci-fi and horror feeling gives the shivers and lets one melt into it entirely. “Jamie Marks is Dead”, based on the Christopher Barzak’s novel “One For Sorrow”, dwells on a parallel universe of the dead, who cannot accept their own death and thus look for help among the alive. Artfully created drama billows out with dark, gloomy cinematography and some exceptional acting by Cameron Monaghan, but ends up being quite murky and opaque, as none of the subplots is fully explained – “Jamie Marks is Dead” is a game of ambiguity and guesses. Yet, it is still a very entertaining game. A teenage girl Grace (Morgan Saylor) finds a body near the local river, later on identified as Jamie Marks. The case of rather unpopular and badly treated boy is later investigated as an alleged homicide and it influences the life of Gracie and a school-star, Adam (Cameron Monaghan). Apart from the romance, which evolves between the two teenagers, both are able to see the dead boy, Jamie (Noah Silver). Hence Adam, haunted by some conscience pangs, plumbs into the gruesome world of the dead, having Jamie as his guide. There is no such thing as a coherently stated fact in Carter Smith’s film – ambiguous lines are fired one after another, intricately weaving the web of mystery and blurring the distinction between what is inside Adam’s head and what still belongs to the reality. Jamie, who sometimes cripples out from a wardrobe, materializes in front of a mirror or just spooks Adam by his silent whispers – all of that is a piece by piece designed plan to gain Adam’s attention. Smith avoids using horror cliches, which is a huge advantage of “Jamie Marks is Dead” – the ghastly “other side” is not a long shot from reality, which makes it even more confusing and unclear to decide on which side are we. There is also the case of volcanic-like reactions of Gracie and the romance, which contrasts with the silent relationship between Jamie and Adam. This crash of those two separate connections is the point of director’s interest. Carter Smith directs with passion, but “Jamie Marks is Dead” is also marked by an unspeakable chaos. None of the bonds, that are pictured are defined, some of the characters are uselessly existing in this picture, thus raising too many questions, which are left unanswered. Nevertheless, the compositions of the cinematography are beautifully explored within the horror-inspired, dark atmosphere. The official score by Francois-Eudes Chanfrault fits into this “unease” quite well, mainly focusing around electronic, musical restlessness, which pictures the mental state of Adam’s perfectly. The acting performance by Monaghan, who lately could be also seen as the Joker-in-the-future character in tv series “Gotham”, is definitely a worthwhile role. His progressive dedication to the Jamie’s fate and feelings is depicted firmly and he really conveys the message of the film – all in all, Smith tells the story of how people deal with the loss of others, not necessarily close ones. And whilst his story is murky, the message behind “Jamie Marks is Dead” is clear and powerful. Carter Smith’s “Jamie Marks is Dead” is an entertaining drama, laced with horror and thriller being definitely a piece I would recommend. Although the confusion in my head was immense after seeing it, these two interfusing worlds became a solid fundamental to touch the topic of death, on many different levels. Smith’s film is intelligent in this discussion and even though being a bit chaotic, still deserves some recognition. Plus, it must be stated – there is some new talent coming to the cinema, ladies and gentleman – I feel we will hear about Cameron Monaghan in the not-too-far future. Artistic horror – still an oxymoron? My personal opinion about the new trend in the horror film industry. Horror movies became one of my major areas of cinematic interest recently and it’s undisputable, that the dumbness of the majority of them goes far beyond the imagination of ordinary people. There is no need to dig deep into the topic; just recently we could be blessed with flops like “Pyramid” or “Ouija”. Everything would be cool, if I didn’t see the so-called genre revelations, which created a heated debate not only among the critics, but also horror fans. Here is what I think about those allegedly artistic hits. Last year’s horror top lists were taken over by “The Babadook” – an Australian story of a mother, whose son suffers from a psychological disorder issues and claims their house is haunted by Babadook – a demon from the book he found. We should begin with stating the obvious – children in horror movies can be either scary as hell (“The Shining” or “The Grudge” for instance), but also ridicuolously hilarious and cheesy (like “Children of the Corn” series proves). The problem with Noah Wiseman, who plays the role of Samuel, is that his performance is way too dramatic and overdrawn, creating a vague and rather cliche character. Apart from that, melancholic performance of Amelia does not provoke any sympathy either. All in all, two main characters happen to be a blurry silhouettes on the very mysterious canvas. Needless to say, there is something artfully delectable about the cinematography of Jennifer Kent‘s “The Babadook” and this is what distinguishes it from hundreds of mediocre features. Nevertheless, this is not enough. 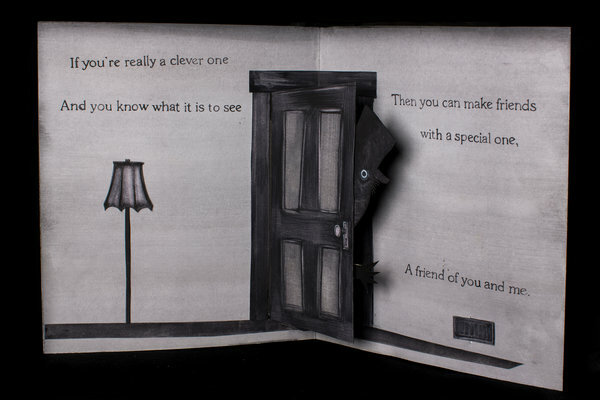 The critics hailed the intellectual aspect of “The Babadook“, pointing out that the psychological penetration of the relationship between Amelia and her son is used to frighten the audience, simultaneously avoiding horro cliches. Kent’s movie is not free from them, but they are quite wisely covered by this mysterious atmosphere, hanging heavily in every scene. “The Babadook” did not deserve to be such an acclaimed picture, but at least, it’s an interesting approach to the horror genre. It dwells on a psychological aspect of fear and pictures the disturbing paranoia in a quite an appalling way. The list of those “ambitious” flicks gets bigger every year. “As Above, So Below” (picture above), directed by John Dowdle, also received quite a heart-warming reviews, although the movie is just another POV-filmed aftermath of “Blair Witch Project” idea. This time, instead of dusky forests, we follow the endless corridors and chambers of Parisian catacombs. Nevertheless, Dowdle’s movie was at least originallly written and even though the creators did not avoid a lot of plotholes in the script, “As Above, So Below” was surprisingly fun to follow – still, did not constitute a wind of freshness in the genre. … And experienced a truly pitiful, gimcrack piece of pseudo-artfull horror. The list of the numerous flaws of Mitchell’s film was getting longer and longer, as “It Follows” made me more sick with every minut passing by. David Robert Mitchell was extremely hyped about creating a visionary horror, influenced by such movies as Winding Refn’s “Drive” or Carpenter’s “Thing“. His ambitious approach clashed with a complete lack of a neatly-crafted script and well-picked actors. Hilarious scenes double and triple, Jay does not change her facial expression at any cost and at the peak of the mountain we have naked, old people, creepingly walking or staring. Does that sound even a bit scary or, God forbid, artistic? All in all, there is something charming how tacky those artistic horrors are. Cinema is rapidly evolving, the genres are mixed and blended all the time, but yet those revelations are still longshots from what could be possible called this way. I still find movies as “The Shining” or “The Ring” to be the milestones, which lay way further than 2014/2015 hits. And don’t get me wrong – I firmly support this desire to bring horror genre to a new, artistic level – there is a great potential in it. But not the way movies like “It Follows“, “The Babadook” attempt to do.